KOKOMO, Ind. – Cary Hungate is back home. 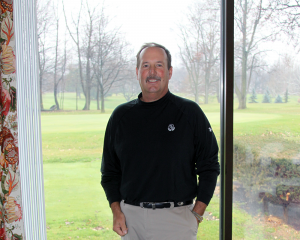 The local golf professional has announced he will return to the Kokomo Country Club on Jan. 1, 2013, after one year at Green Acres Golf Club. Hungate spent 19-seasons at the Kokomo Country Club before departing one year ago. Hungate is widely considered one of the best teaching and playing professionals in Indiana. He is a three-time Indiana PGA Player of the Year (1987, 1988, 1990) and was named the Pepsi Senior PGA Player of the Year in 2010. Hungate is also a member of the Howard County Sports Hall of Fame. For more on Cary Hungate’s return to the KCC, see the December 19 print edition of the Kokomo Perspective.